The commission was to provide a multi-discipline services in support of a £150m mixed use development of a 3.5 hectares site in the heart of Gateshead town centre. 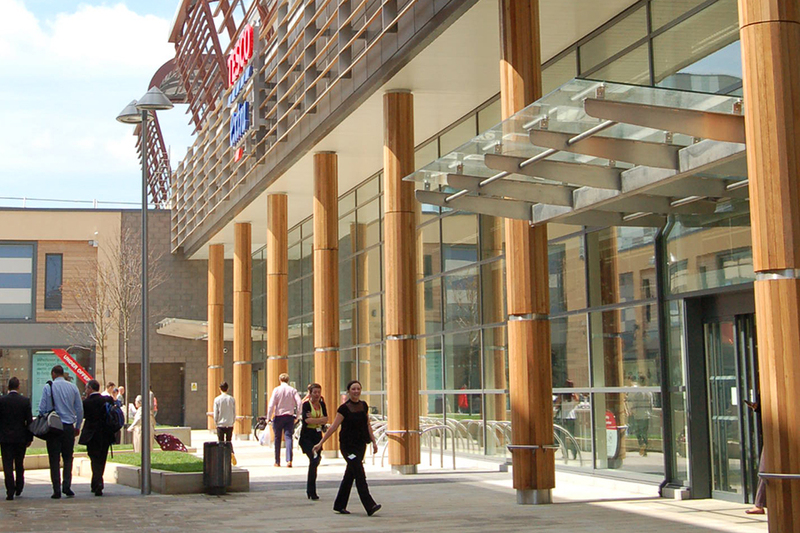 The redevelopment includes over 300,000 sq ft of new retail space in 45 units, including a large Tesco extra superstore as anchor, a rooftop student village with accommodation for over 900 students, offices, hotel, a PCT health facility and a 9 screen multiplex cinema, along with community facilities around a contemporary public open space. Infrastructure for the development includes a new basement car park over the majority of the site area. Fairhurst has provided civil and structural engineering design, specialist geo/environmental support, landscape architecture and ecological services from the Newcastle office. The development presented a number of design challenges which have been successfully addressed by our multi-disciplinary team. Of these challenges, a primary concern was the 15m fall across the site from the south west to north east corner, requiring major bulk earthworks and retaining structures, along with extensive grouting works to stabilise historic shallow mine workings. In addition the installation of the Halo public art feature required careful consideration from the Fairhurst team. Fairhurst were ultimately novated to the successful D&B Contractor, Bowmer and Kirkland, to complete the construction phase of the project. The final phase of development, the student accommodation, was completed in 2014.